I read the rather excellent book Love Saves The Day: A History Of American Dance Music Culture 1970-1979 by Tim Lawrence last year. Scattered throughout it are representative playlists of the music particular DJs would have played at a specific club in a specific year. 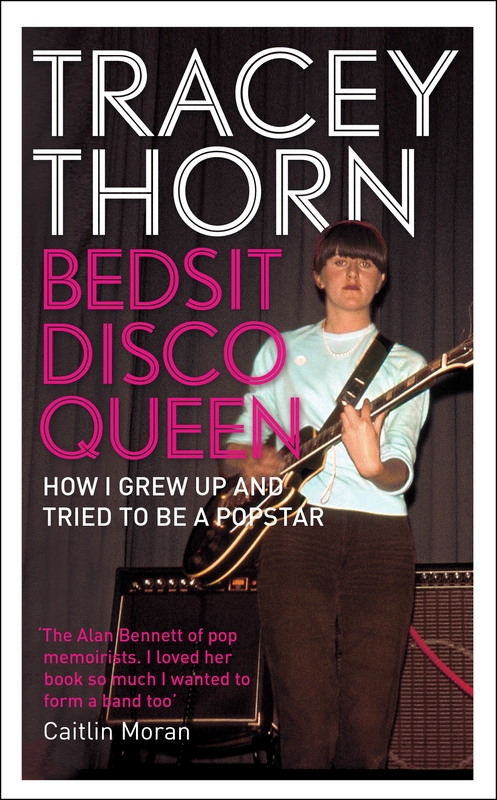 While I was reading it, I bored people with snippets of information about the DJs and clubs and Youtube videos of some of the musical gems. I thought I’d collect these together and expand the text a little in order to bore a wider audience. The Loft is so central to this story that the whole book is named after the first of the invite-only parties David Mancuso held at his Broadway home. Mancuso had been holding Leary-inspired (Timothy rather than Denis) gatherings for friends at his loft since the mid sixties. These had eventually turned into dance parties and he accumulated enough audio gear to fill the formerly industrial space with quality sound. After a break in 1969 to, in his own words, “go on a monk trip”, Mancuso resumed the dance parties. The first attempts were typical open rent parties – they were called Coalition and run with a couple of collaborators including a DJ – but they didn’t really work out. So in early 1970 Mancuso took back control, including of the music, and sent out invites for a private party called Loves Save the Day – the name was inspired by proximity to Valentines Day and his former fondness for psychedelics. The parties had names but the venue didn’t, it was just Mancuso’s home. Eventually people started calling it The Loft and the name stuck. This 1972 solo track from The Temptations singer Eddie Kendricks was a favourite of David Mancuso at The Loft and was picked up by a lot of other DJs as a result. By the end of 1970, the Loft parties were at capacity and stayed that way for years. The door charge was only two dollars at first and there was no alcohol, or indeed anything else, for sale inside. But there was free food – organic and fresh, in line with Mancuso’s now clean living habits. And there was simple but effective decor including balloons – lots of balloons – streamers and powerful floodlights. The Loft was recreated to great effect in epsiode 5 of David ‘The Wire’ Simon’s recent series The Deuce – the DJ was the spitting image of David Mancuso although the name was never mentioned. The Loft was David Mancuso’s home so the only event of the week was the Saturday night invite-only party. During the early part of most week, he would spend time in Woodstock in upstate New York before coming back on Wednesday to start preparations for the next party. Maybe that’s why he was so fond of this track by War called ‘City Country City’. Nicky Siano was still at high school when he first went to The Loft. He also has the distinction of being thrown out by Mancuso for selling drugs – selling was strictly forbidden even if using was an accepted part of the night. Nicky got his start DJing at the Round Table, a mob-run cabaret club with a gay clientele. By February 1973, when he was still only 17, Siano opened The Gallery, a club very much based on the Mancuso template – mixed crowd, balloons and streamers, free refreshments. The Gallery started slowly but when The Loft took a break for the summer, it attracted a lot of the refugees and soon became the most happening night in Manhattan. If The Loft was the home of the tripped out dancer, The Gallery was the home of the dancing queen. Meanwhile in Philadelphia, the disco sound – ‘four on the floor’ bass drum and sweeping strings – was being invented. The elements were falling into place. The Gallery made Nicky Siano the first star DJ. He also became mentor to Larry Levan and Frankie Knuckles, who would be so influential that their clubs provided the names for genres of dance music – garage at Levan’s Paradise Garage and house at Knuckles’ Warehouse. But back in 1973, Frankie was the best balloon inflater at the Gallery and his friend Larry helped out and became Siano’s lieutenant and lover. Siano was also one of the first residents at Studio 54 when it opened in April 1977, DJing on the nights when he wasn’t at The Gallery. Studio 54, which actually was a former CBS studio on West 54th St, was the culmination of seven years of growth in the club scene. But it was also a club that promoted spectacle over music. That didn’t stop it being a massive success. Siano’s drug habits eventually got so bad that he was sacked from Studio 54, although that might have been as much to do with perceived DJing sins such as playing Kraftwerk’s Trance Europe Express before it was popular. But his partner at the Gallery, his own brother, also gave him an ultimatum – give up the drugs or I close the club. The Gallery closed in late 1977. This track is from The Gallery’s heyday. It’s difficult to pick a music category that does justice to Nashville four piece All Them Witches, but ‘heavy psychedelic rock’ is probably a good starting point. When they toured the UK last year, they used the entire of Iron Man by Black Sabbath as their intro music and when I saw them at the Bierkeller in Bristol, the keyboard player Allan Van Cleave was wearing a Grateful Dead t-shirt – these are both useful historical reference points. 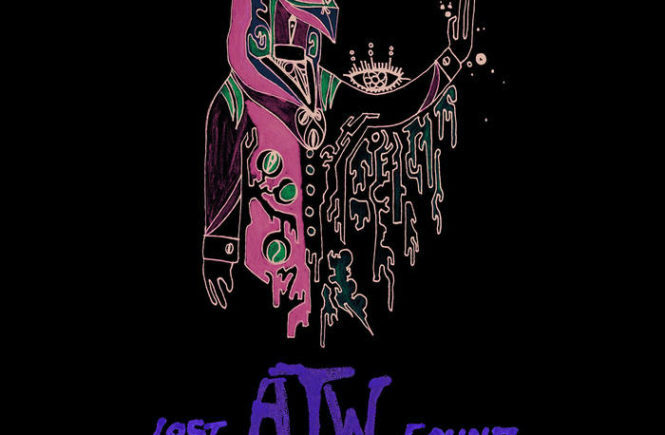 Although they’re now signed to New West Records, they have a history of self-publishing and guerilla releasing, so it was a pleasant, but not completely out of character, surprise when they announced yesterday that they have a new EP, Lost And Found, and it’s available to download for free from their Bandcamp site. 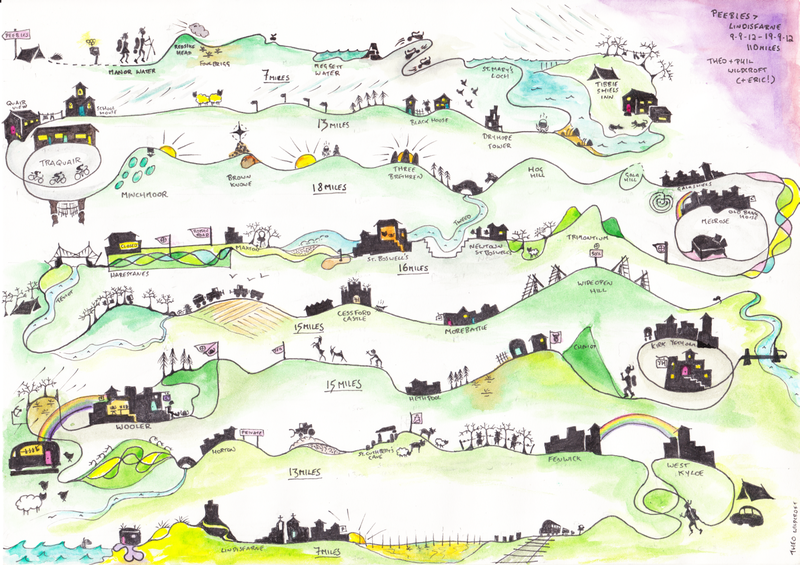 It’s produced and mixed by guitarist Ben MacLeod and the striking artwork is by drummer Robby Staebler. I’ve listened to it a few times over the past two days and I’m really impressed by the quality of the EP. Over the course of three original tracks and one cover, they push their boundaries in diverse directions. They’re going to start recording a new album in April – I’m not sure if this EP is intended to explore possible new directions or just limber up on some tracks that don’t otherwise fit, but either way it’s well worth a listen. Hares On The Mountain. This starts simply but piles drone instrument upon drone instrument upon hypnotic vocal, before disappearing in a giant wave of echoing guitar. Before The Beginning. A pretty straightforward cover of a Peter Green song from the 1969 Fleetwood Mac album Then Play On. Call Me Star. This is a mostly acoustic track which is strongly reminiscent (to me at least) of Nick Drake, especially in the fingerpicked guitar but also to an extent in the vocals. Dub Passageways. A proper King Tubby style dub treatment of a track which tries to rock out (the drums could be from a Faith No More track) but keeps being pulled back to dubspace. Allan Van Cleave also plays some mean violin. The early playlists are pretty eclectic – the core of them is soul and R&B, but the fringes are wild. Francis Grasso was DJ at the Sanctuary, a seminal ‘mixed-crowd-but-essentially-gay’ disco that opened in 1970. He would play rock and funk, James Brown and Motown – whatever got the crowd going. He was also a pioneer in mixing records together rather than just playing them back to back, and would use his headphones to listen to the incoming record to get the perfect blend – which became standard technique. You can’t dance to the orgasmic section of Led Zeppelin’s Whole Lotta Love so he’d mix the whole of I’m A Man by Chicago over that part. Babatunde Olatunji was a Nigerian percussion virtuoso who relocated to the US in 1950 in the hopes of becoming a diplomat, but ended up very successfully supporting himself through his drumming. This track was a pop hit in 1959, as was the album it came from. Eleven years later, Francis Grasso, who’d bought the record when it came out, dug it out of the crate to make it his signature tune at the Sanctuary in 1970. The club Haven was “a cliquish after hours spot that attracted a mixed crowd of street people, gay men, and high society speed freaks”. It got going at midnight and went through to 7AM. It was eventually closed on the orders of the New York State Supreme Court. Francis Grasso had moved to Haven from the Sanctuary and two of his admirers, Michael Cappello and Steve D’Acquisto, learned his tricks there and waited for their chance. They became three of the key DJs on the early 70s New York club scene. The music stuck closer to soul and R&B, but always looking for the raw or percussive track that would energise the dancefloor. Tamburlaine was a Chinese restaurant that metamorphosed into a nightclub at 10pm. By 1971, that nightclub was the gayest discotheque around and also attracted the in crowd – drag queens, fashionistas and celebrities like Jackie Onassis and Keith Moon. Grasso played there, and so did Steve D’Acquisto who was spinning this early Eddy Grant track. But then so was pretty much every other DJ in New York. Part 2 will be here. 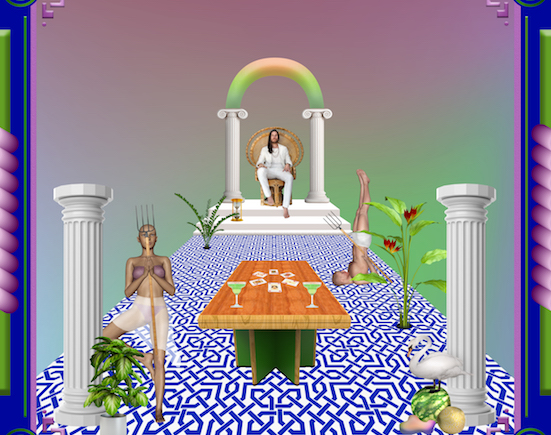 Jonathan Wilson is a (non-native) Californian who makes extraordinary music – not just for himself, he also has some very cool producer credits including critically acclaimed albums with Father John Misty and Karen Elson released in 2017 alone. His own music manages to cherry pick sounds and grooves from the last fifty years of popular music without ever feeling derivative or anything other than contemporary. His last album Fanfare felt rooted in the acoustic guitar and harmony vocals sound of the 1970s Laurel Canyon sound – to the extent that Jackson Browne, Graham Nash and David Crosby contributed harmony vocals. His new album, Rare Birds, has got much more of a 1980s Peter Gabriel/Talk Talk feel, synthesizers and all. There’s still lush orchestration and great guitar playing of course, and there are plenty of outliers like the delicate Loving You or the early Pink Floyd sound of Miriam Montague. The latter is clearly influenced by the fact that his main gig at the moment is guitarist, vocalist and ‘resident hippie’ on Roger Waters’ Us + Them world tour. He also contributed guitar, keyboards and studio skills to Waters’ recent album is this the life we really want?. Anyway, NPR have kindly made the entire of Rare Birds available to listen to a couple of weeks before it’s released so it would be rude of you not to listen to it. I heard a song on the radio this morning and in quick succession was struck by, and then wanted to know who played, the guitar solo that starts at the four minute mark and is basically the track from then on. It’s linked below, I’ll wait while you listen to it. That’s John Walker on the video pretending to fingerpick the solo on a (rather beautiful) unplugged Fender Stratocaster, back in 1975 while promoting the Walker Brothers comeback album which did nowhere near as well as the No Regrets single taken from it. The actual guitarist is Alan Parker, an English musician who has written or played a huge amount of music I’m sure you’re familiar with, although his face is unfamiliar and won’t appear on these videos barring one grainy still as a Youtube thumbnail. After training at the Royal Academy of Music under Julian Bream in the mid Sixties, Parker became an in demand session guitarist on the London circuit. John Paul Jones of Led Zeppelin fame was musical director for Donovan’s Hurdy Gurdy Man album sessions and brought Parker in to play electric rhythm and lead guitar on the title track, Hurdy Gurdy Man. It’s often been said that the guitar is played by Jimmy Page – he did play acoustic guitar on some of the other tracks at the sessions but not this one. Around the same time as the Donovan sessions, Parker met Jimi Hendrix when they were both working at Olympic Studios in Barnes, west London. They hit it off and, a couple of years later, Jimi gifted him his 1951 Epiphone FT-79 acoustic guitar. This had been bought for $25 in 1967 with money earned from the Monterey Festival appearance and had been Jimi’s main home guitar while in London, used for practice and composition. 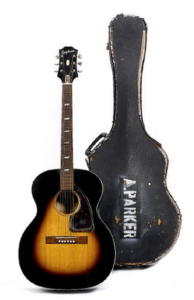 Parker played the guitar on sessions and at some point sold it along with the hard case (stencilled with “A. Parker”) that he’d found for it. That original sale may have been The Jimi Hendrix Auction at Bonhams in 2001 – it was certainly sold there. It’s been auctioned again a couple of times since then, still with the A Parker case, most recently in 2016 when it sold for £209,000. A group of session musicians got together in 1969, at his instigation according to Big Jim Sullivan, with a view to forming a band. Big Jim soon went off to play with Tom Jones for a few years leaving Parker as the sole guitarist but the remainder became Blue Mink. The bass player was Herbie Flowers, later a David Bowie stalwart and member of Sky, but Blue Mink’s pop success was driven by the vocals of Madeline Bell and Roger Cook. Cook was also a talented songwriter, having credits on “I’d Like To Teach The World To Sing” and “Something’s Gotten Hold Of My Heart” amongst many others. Anyway, here’s a Blue Mink instrumental from their first album which shows off Alan Parker’s chops. All of Blue Mink carried on with their session work and other bands. They formed the nucleus of the musicians on Elton John’s first album in 1970. Parker and Flowers formed a heavy blues band called Rumpelstiltskin, whose two albums are well worth checking out. For strange reasons Rumpelstiltskin adopted pseudonyms, so Alan Parker became Andrew Balmain. That’s how Andrew Balmain came to be credited as guitarist on Ballade de Melody Nelson from Serge Gainsbourg’s landmark 1971 album Histoire de Melody Nelson, the rhythm tracks for which were recorded in London in 1970 with Rumplestiltskin providing the core of the band. The Herbie Flowers connection was probably responsible for Parker being brought in to play the electric guitar on Rebel Rebel, David Bowie’s farewell to glam rock. Bowie wrote the riff on an acoustic but Parker dirtied it up and added the three notes at the end of each riff (Ab, D, E) that allow it to loop so hypnotically for almost all the song. Parker was also possibly being used as a gentle two finger salute in the direction of the recently departed Mick Ronson, showing that Ronson was by no means the only guitarist with a Les Paul and an overdriven amp. Alan Parker also played the Shaft-style guitar on 1984 which appeared together with Rebel Rebel on Bowie’s 1974 album Diamond Dogs. Parker continued to play on many well-known and plenty of obscure tracks, such is the life of a session guitarist. But he was also establishing himself as a composer and performer of library music. The key thing about library music is that the composer assigns all copyright to the publisher, so the publisher can easily license it to film and TV companies for use as soundtrack and incidental music. Library music would also be released as albums by labels such as KPM, DeWolfe and Themes. It’s very difficult to trace what use the tracks were put to, this one however is known to have been used on Sesame Street back in the day. Session contacts led to library music contacts and those in turn led to theme music and soundtrack contacts. By 1977, Parker was scoring the high profile television dramatisation of the “Philby, Burgess and Maclean” spy scandal. He pretty much seems to have not looked back since.